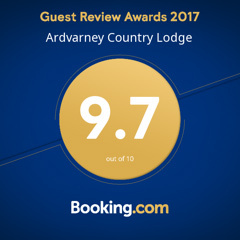 What is it that we like so much about having guests in Ardvarney Country Lodge? Arrivel: When guests come they usually are looking forward to a nice stay, there for often they are in a good mood. They are looking forward to explore new things and find their new place to stay. Experience in Ireland: Every guest has his or her own story. This can be about their experience with the country or the locals. Often it is about the adventures they have had underway to the lodge. But most of all they talk about the beautiful scenery while driving up here. Stories: Guests have their own story about their live, jobs or about their studies. Great to hear are the stories they heard from locals, about the history of a town or object or place where they have been at their last visit. Knowledge from our guests: We learn a lot from our guests, how to maintain the garden for instance. And what is an absolute no no to talk about or to do in their country. Cultures: We hear stories from our guests about different cultures they have observed. Most of the time we come to the conclusion that there may be differences. But we all want what is best for our children and world peace. We love it when our guests leave with a smile on their face, we hope that we have added a new story to talk about with their next host or at home. Guests are an enrichment of our overall knowledge and conviviality. Guests like to hear about Irish customs to. The Child of Prague, Irish custom to put under the tree one day before a wedding, it will bring good weather.